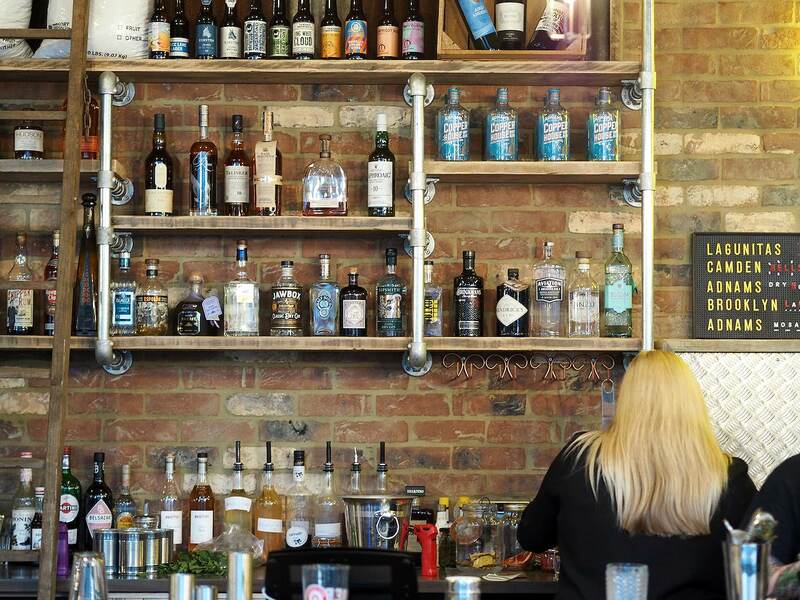 Established in 2015, Craft & Cleaver began their UK journey in St Albans. 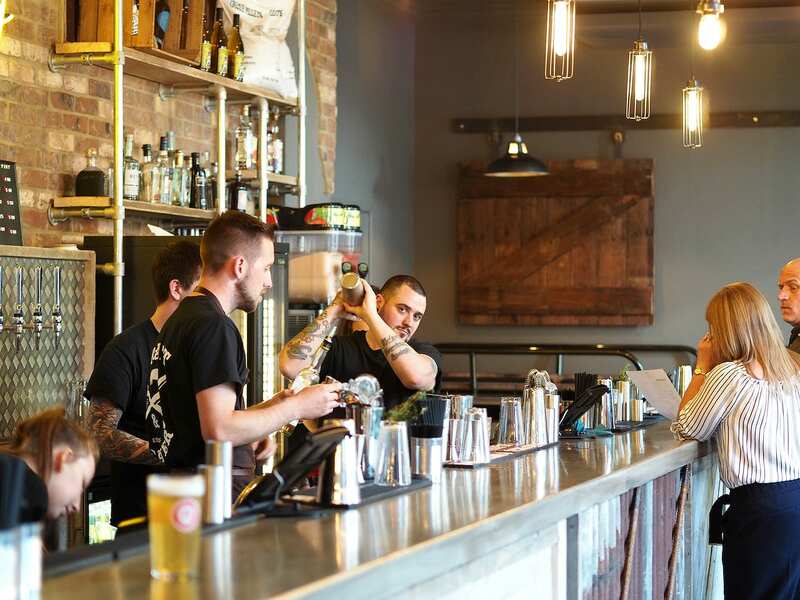 “We’re An Industrial, Brooklyn-Inspired Smokehouse & Bar – Specialising In Authentic Wood-Fired BBQ, Expertly Sourced Craft Beer & Awesome Cocktails,” they say on their website. You know how much Q and I love BBQ food! So this was a meal I was very excited for. Something a little different to what we already have locally as well. 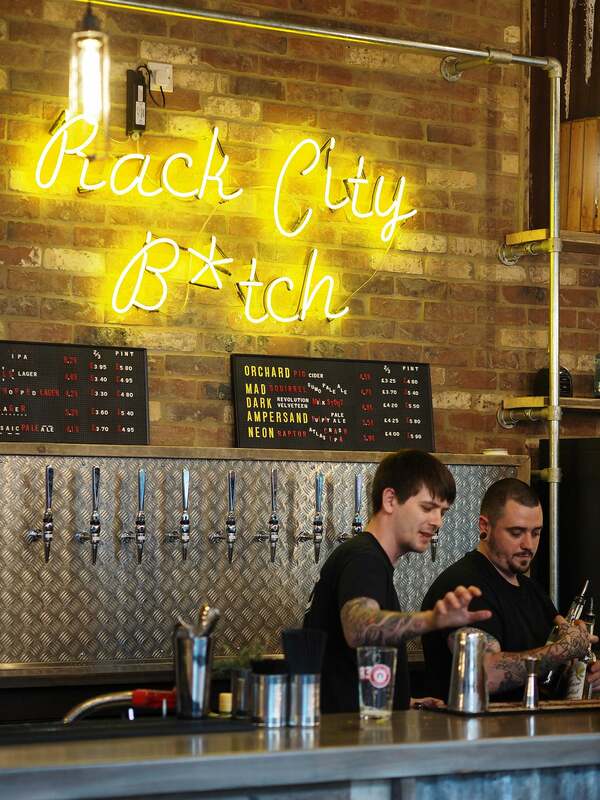 The ‘rack city’ neon sign is one of the first things your eye is drawn to sitting boldly above the wooden bar. I got a number of comments after I shared it on my Instagram Stories, all along the lines of it being far too trendy for Milton Keynes. Too trendy for MK? I disagree; that does a disservice to a city that’s growing in character. But they’re right that yes, it’s definitely channeling style that Milton Keynes hasn’t really seen before which is exciting. The faux green grass outside is fit for a local concrete cow though! The restaurant looks great. Ultra trendy, ultra casual look and feel reflects the menu. BBQ food was never going to be posh was it? (And nor should it be!) I felt right at home in this environment and kicked off the evening with an Elderflower Bramble from the cocktail list. Good looking, well balanced and jammy. 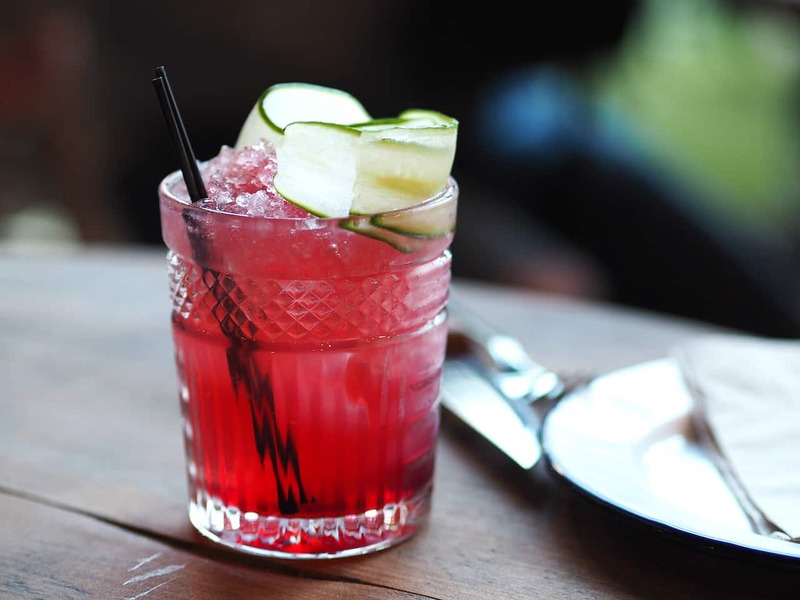 Summer in a glass! I later chose a less sophisticated sounding (but tasty) ‘Hobo Juice’ …because you know I can’t resist rum! The staff were absolutely lovely and seemed genuinely buzzing for the place to be open; smiles everywhere and confidence in recommending their favourites from the menu. It already felt like a little family in the restaurant despite being so new. 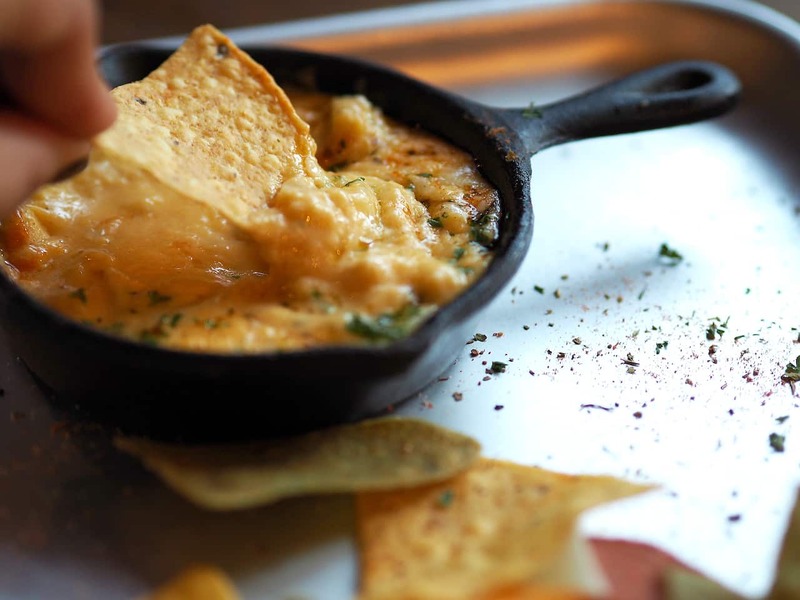 We took our waiter’s advice and started off with the Tailgate Dip. I love those cute little pans! 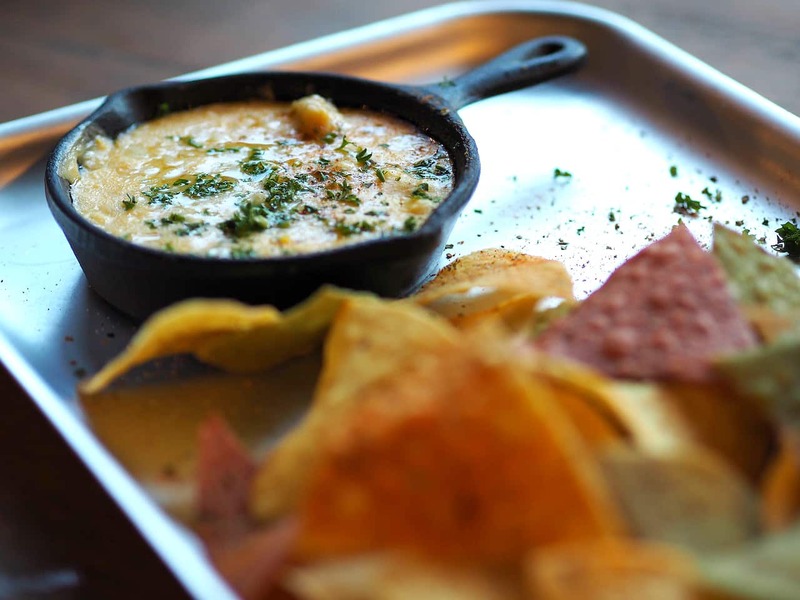 The dip was a rich, melting mix of creamy cheese, sweetcorn, artichoke and chipotle. 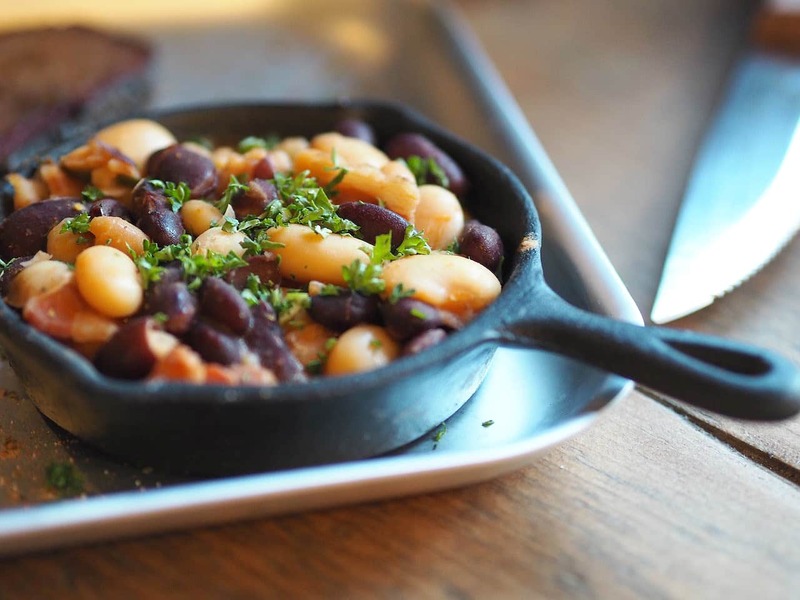 Served with colourful, rustic tortilla chips made in house. Given the nature of the food mains come big, so this was a great snack-like starter to share and it was perfect alongside our cocktails. The waiter warned me that it was rather large and that I may struggle to finish it. Ha ha ha we haven’t met before, have we? Jo, meet Hogtimus: a gluttonous feast of pulled pork, shredded rib meat, BBQ sauce, bacon mac n cheese patty, Rockstar mayo, American cheese and Game Day Mustard. Let me just repeat that is has a bacon mac n cheese patty in it. 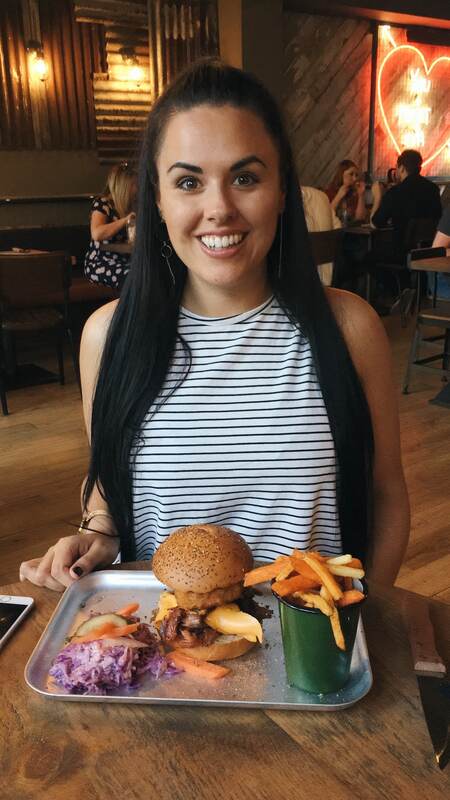 It’s the kind of burger that’s so tall that you have to anchor your jaw around the bottom and then swing the rest of your head up over to take a bite. If you know what I mean then we can be friends. Apart from losing points for the cheese not being melted (come ooon!) I devoured this burger with indulgent glee. 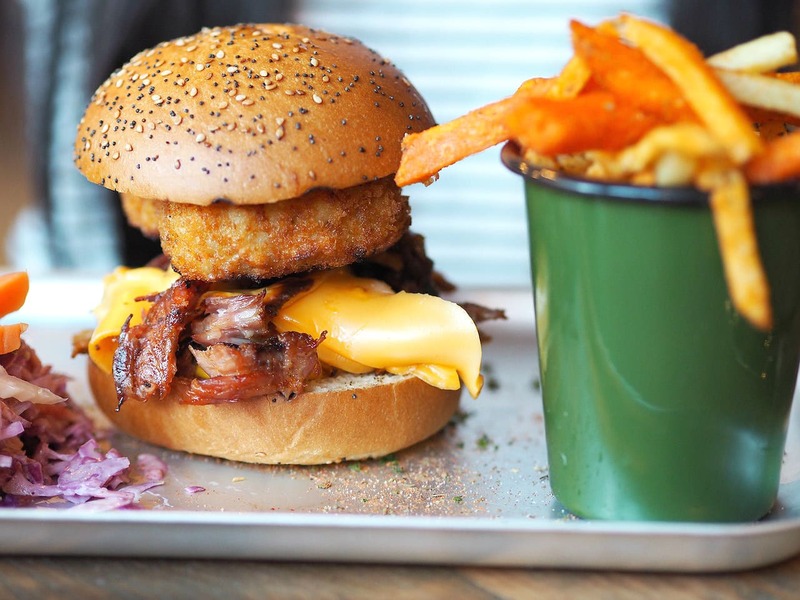 Mac n cheese in a burger is a glorious thing that everyone should try at least once. It came with a lovely fresh slaw topped with crunchy pickled veg and 50/50 fries that are a mix of white and sweet potatoes. I definitely preferred the former. Q chose from the combos section: two meats and two sides for £17.95. 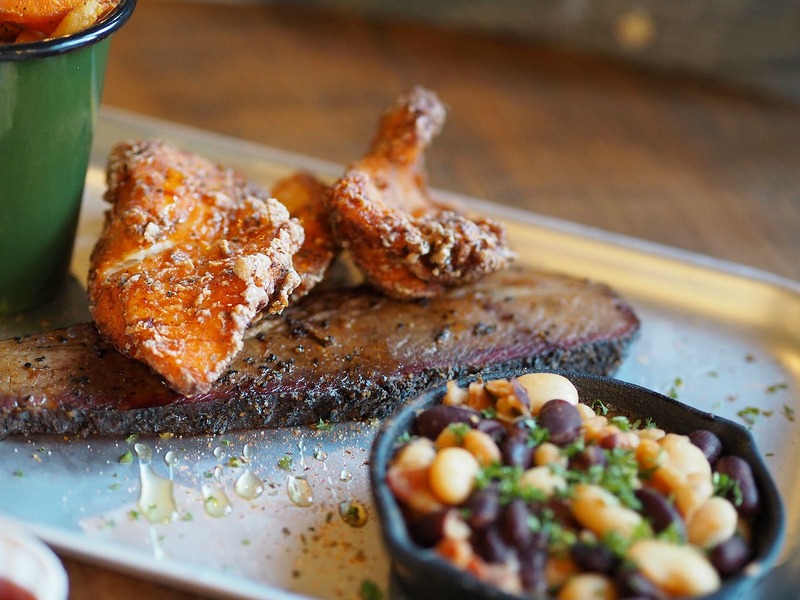 He went for beef brisket and buttermilk fried chicken. The brisket was really tasty: juicy with a decent smoke ring. 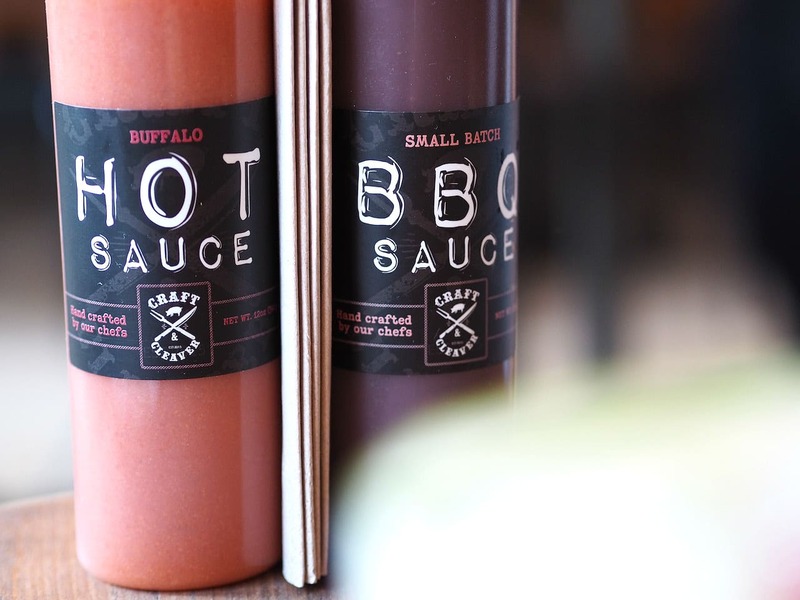 Q also made good use of the small batch BBQ sauces on the table! The chicken was a little weak though. It comes gluten free as standard which may explain the lack of super thick and crispy batter? I can’t be sure, but either way it lacked that gnarly coating that good fried chicken should have. The casual mood extends to the way that the food is served on metal trays and I have to say I wasn’t too keen on them! Give me a wooden board any day, but the sensation of a knife scratching against the metal tray was quite unpleasant to me. It’s going to be a crowd divider for sure. I think the food could look better presented on tin plates or dishes, similar to Honest Burger in London. 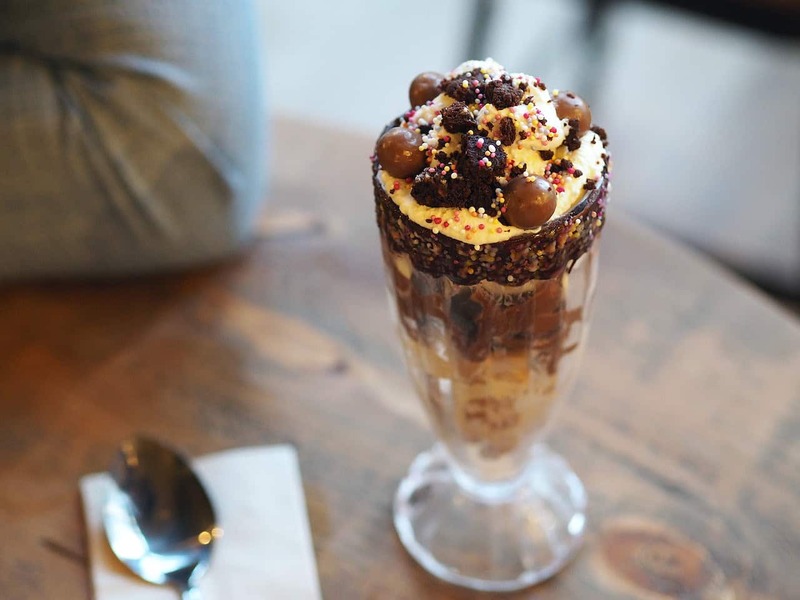 For dessert we reverted back to kids at a party and chose the ‘Death by Sundae’ which includes all the usual chocolatey sundae suspects. Simple pleasures! Although at £9.75 it was the only thing we had which I thought wasn’t priced well. Writing up my experience I’m more aware of inconsistencies in the food which at the time of eating weren’t so obvious to me. I so enjoyed the atmosphere and overall menu that I came away with a great big smile on my face! The bigger picture is absolutely great; I think Q has nailed it in saying that some of the food just needs to be dialled in a bit to really hit the mark on all fronts. And perhaps that will come, given we did visit on a soft launch. 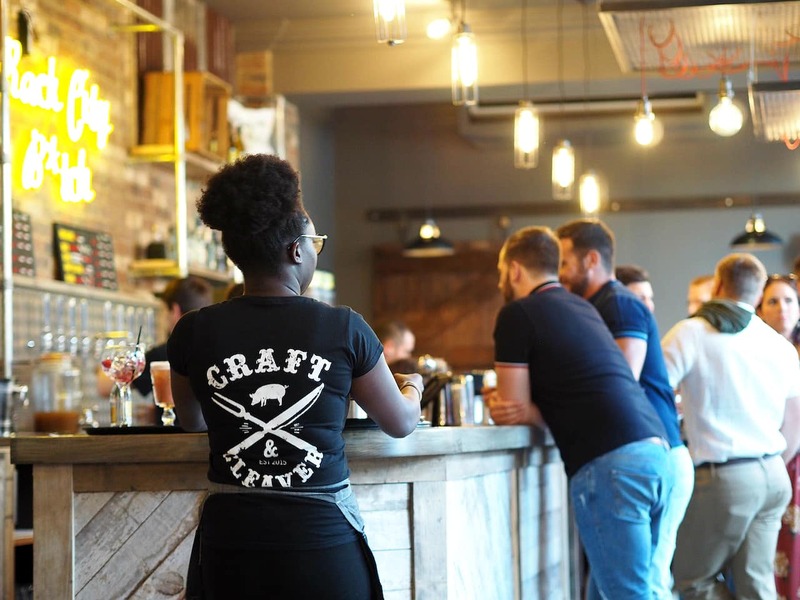 There’s a lot for meat lovers to discover on the menu so I look forward to returning to see how Craft & Cleaver settles in!